Scratch vs CodaKid: Which Kids Coding Website is Best for Your Child? Share the post "Scratch vs CodaKid: Which Kids Coding Website is Best for Your Child?" Earlier this fall, we took a deep dive into kids coding websites Tynker and CodaKid, both Parents’ Choice Gold Award winners and CODiE Finalists for Best Coding and Computational Thinking Solution. This week we will compare CodaKid and MIT Media Lab’s Scratch, the original visual block coding platform and one of the most widely used kids coding websites in the world. In addition to analyzing the strengths and weaknesses of both the Scratch and CodaKid platforms, we will do our best to guide you as parents and educators towards the best platform for your needs. 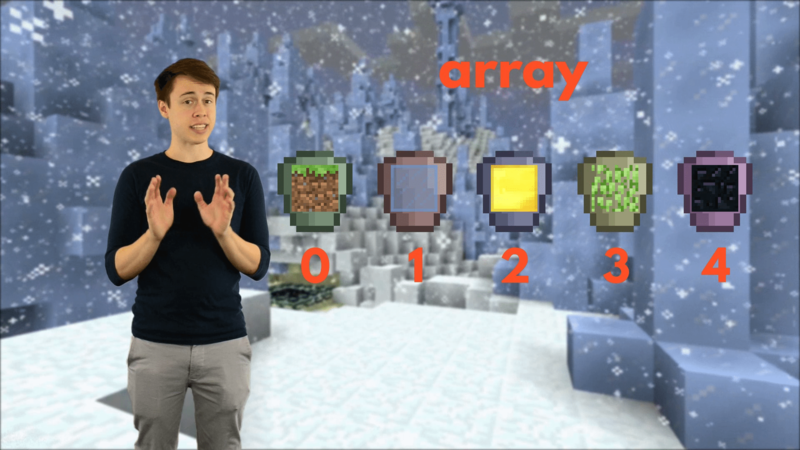 We will also explore the differences between visual block coding and text based coding, and provide you with some valuable tips to get the most out of whichever direction you choose. 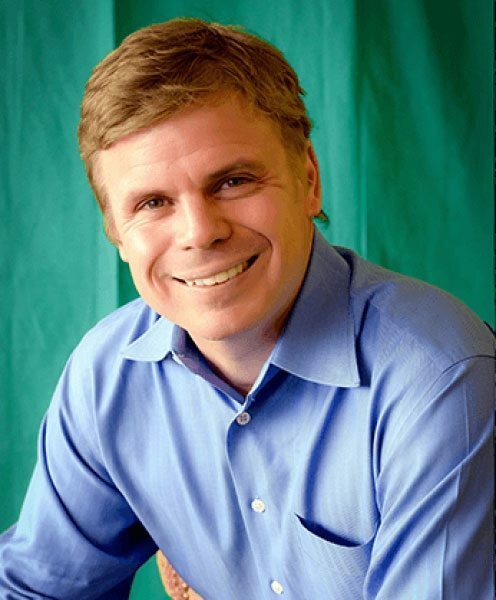 Full disclosure: I am the founder and CEO of CodaKid. I am also a huge fan of Scratch, which is a pioneer in kids coding education and one of the most innovative platforms in the world. As always, if you think that I got something wrong, I’d love to hear from you. Please leave comments below. Scratch is a visual block coding platform which teaches kids how to make simple 2D games by placing code blocks reminiscent of virtual Legos. 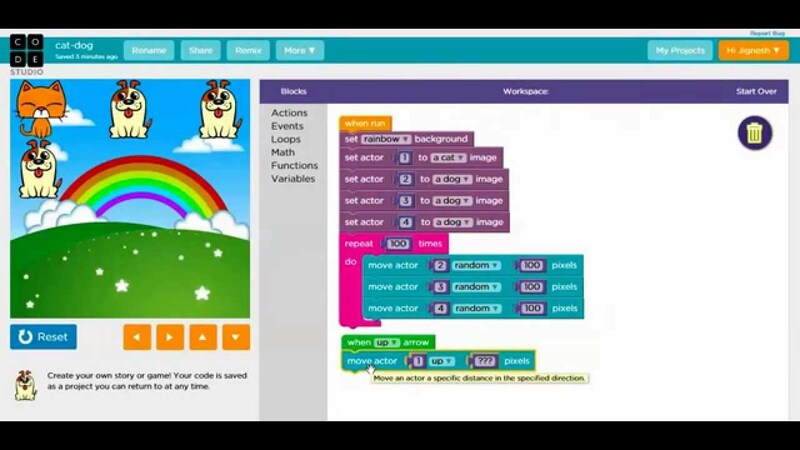 Scratch’s visual blocks each represent coding functions, commands, and events, and snap together like Legos, allowing the user to create a variety of fun and exciting games. In contrast, CodaKid is a kids coding platform that teaches kids how to code using real coding languages and professional tools. 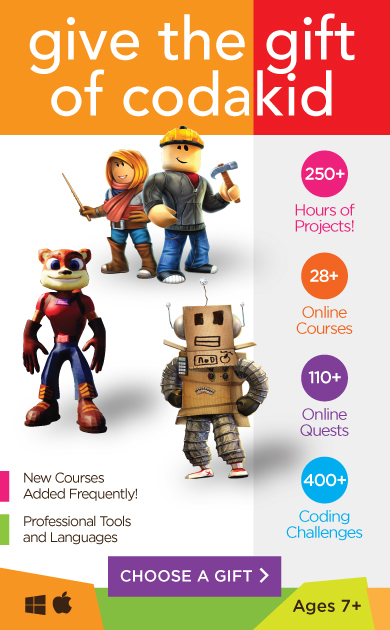 CodaKid has 28 different video courses that teach students how to program Minecraft mods, Roblox games, mobile apps, professional quality websites, and drones. Both platforms excel at different things and provide parents, educators, and kids with two different methods for teaching coding for kids. MIT Media Labs’ Scratch is a sandbox-style kids coding platform that allows students to create a wide array of different games, including favorites like Flappy Bird, Pac Man, Asteroids, Galaga, and more. With Scratch, kids become true game designers that make decisions about gameplay, character sprite art, character/enemy behavior, sound effects, scoring, and more. At this time, Scratch does require parents and educators to engage in a bit of curation and oversight in that the platform is a pure sandbox that provides little in terms of direction, learning pathways, and lesson plans. The good news is that there are a number of 3rd parties that have created some excellent resources, lesson plans, and video tutorials on how to get the most out of the Scratch platform. At the time of writing, our favorite resource is Google CS First, a free portal created by Google that provides students with hundreds of hours of activities using the Scratch platform. In addition, Scratch allows kids to view other student projects and the corresponding Scratch source code – which can become a fun way for students to learn how to build games from others. 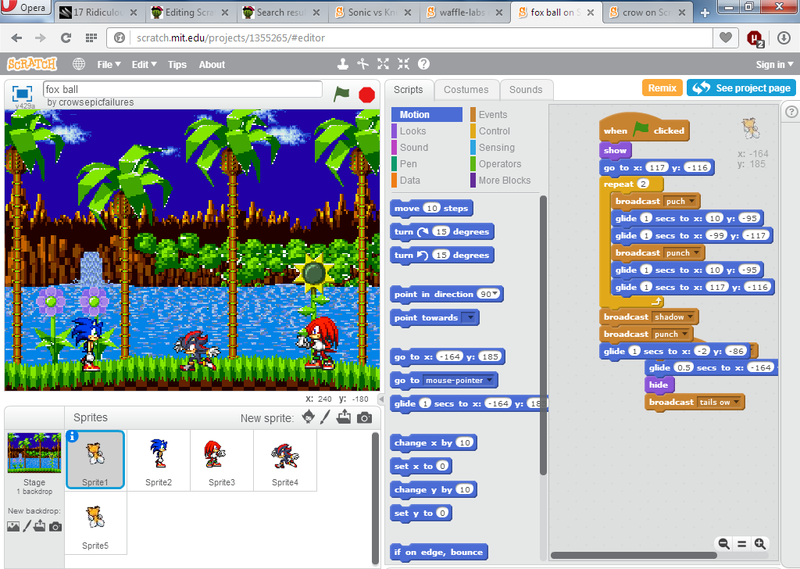 At the time of this blog’s publication, Scratch is preparing to release Scratch 3.0, which will introduce several exciting new components, including dozens of new sprites, a new sound editor, and a number of new coding blocks. We can’t wait for its release in January 2019. CodaKid is introducing Machine Learning, Artificial Intelligence, and Neural Network courses for kids in late 2018 and early 2019. Whereas Scratch is run on Flash and can be used on nearly any kind of device, CodaKid is part web-based and part client-based (in other words, the software is downloaded and installed onto your computer) and must be taken on Macs or PCs. While the CodaKid video tutorials, quizzes, badge award engine, and mentor chat are all web-based, CodaKid’s text editors and software are all downloaded using CodaKid installers. (CodaKid will be introducing some purely web-based courses in early 2019). One benefit of the CodaKid approach is that students get to keep the software, tools, and projects for as long as they like. 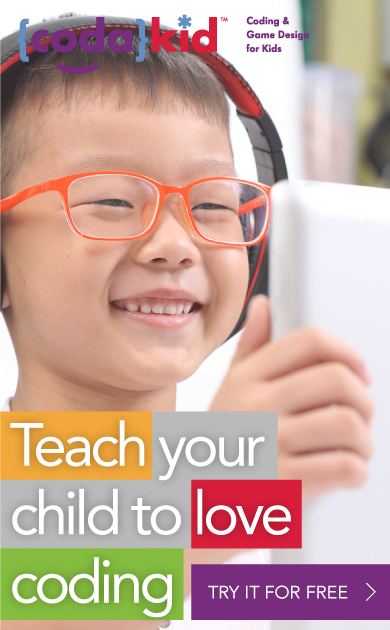 CodaKid teaches through engaging video lessons in which students view tutorial videos at their own pace. When it is time to write code, CodaKid uses video prompts to tell the student to pause the video and access their text editors. One compliment that we receive frequently from customers is that they like that our courses are taught “YouTuber-style” by a group of young, fun and humorous engineers. CodaKid emulates the style and humor of popular YouTubers such as DanTDM who has amassed over 20M followers on YouTube. Scratch’s visual block coding language allows kids to learn fundamental computer programming concepts without experiencing the frustration that many kids experience with a keyboard. Scratch is extremely popular in elementary and middle schools, as it is completely free to use and basic Scratch exercises can be taught by teachers with little or no engineering experience. 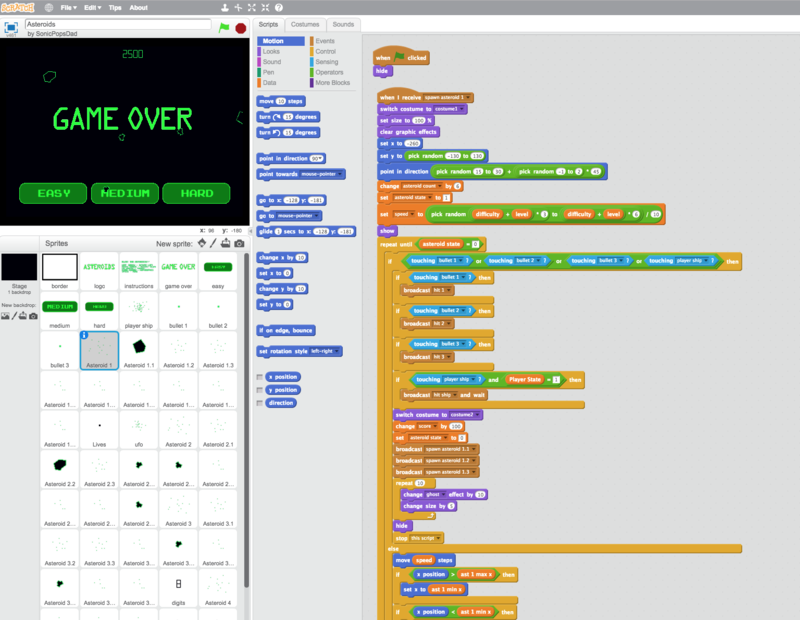 Still, despite the fact that it is possible to create simple games in Scratch that require just a few blocks of code, I do not want to give the impression that Scratch code is easy and simplistic. To the contrary, Scratch code can get extremely complex especially as you begin building advanced games that involve conditionals, loops, functions, collision detection, and more. We will discuss difficulty level in a separate section below. In our estimation, Scratch is a highly effective sandbox solution that can get kids as young as 5 engaged in coding. If one follows the CSFirst curricula and perhaps supplements this with some of the other excellent online tutorials or even books available, you can develop a dynamic computer science program that will make kids well-prepared for text-based coding down the road. As I described earlier, CodaKid’s video-based tutorials teach text-based coding using real languages and professional tools. CodaKid uses a project-based approach that teaches kids real software development through games, apps, websites, and robotics. The CodaKid platform includes installers that provide kids with text editors, art tools, and more. CodaKid’s learning platform tracks students progress, provides quizzes after every chapter, and awards badges for completing courses. Many students come to CodaKid when they are ready to move past visual block coding, and want to take their skills to the next level. Parents and educators report that their kids really feel like software developers and gain a lot of confidence in coding, debugging, using professional IDEs, and even in keyboarding. CodaKid’s courses are broken up into Introductory, Beginner, Intermediate, and Advanced courses, and the classes may be taken a la carte – in any order. Visual block coding is almost always easier to learn than text-based coding. Scratch’s easiest tutorials can be taken students as young as age 5, and I speak from personal experience with my own 5 year old daughter. The overall rigor of Scratch’s most advanced games can get surprisingly high, and the platform has been even used to teach introductory computer science to students at the university level. As you can see from the block-based code in the image above, this Asteroids style game introduces intermediate to advanced concepts such as If-Then-Else statements, Loops, Switch Statements, and Randomization. CodaKid’s text-based approach is generally more difficult than Scratch, although CodaKid’s easiest intro courses can be taken by students age 8 and up. Students with limited typing skills learn quickly, and the intro courses give students plenty of time to work at their own pace and develop valuable keyboarding skills. CodaKid’s intermediate and advanced courses teach students how to create real software from the ground up, and many parents have found CodaKid an excellent next step when their kids have outgrown Scratch and are ready for the next level of coding. In particular, it is helpful for students to use professional text editor and learn the valuable skill of debugging. CodaKid online mentor providing support over messaging solution. All communication is CCed to the parent email. Scratch does not provide support at this time, but there are a number of helpful forums that can help you in the event that you get stuck or needed guidance on how to create something. The Scratch platform is inherently designed prevent students from needing support, which allows students to solve many problems independently. 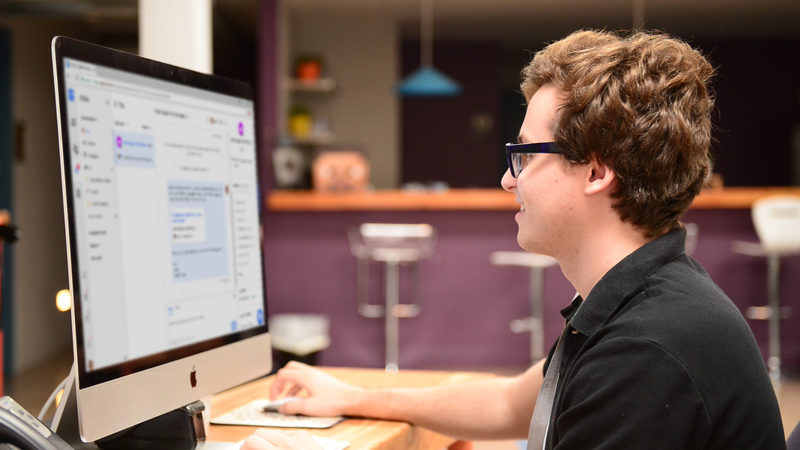 CodaKid provides messaging, email, and screen share support from a team of friendly teachers who are all professional programmers. This also allows CodaKid to teach kids how to compile Java code using Eclipse, create real apps using Atom, and create real software using IDLE. In using these tools, students will sometimes get stuck and need a helping hand. But we also think that this experience is invaluable and will help prepare students to become software developers with real transferable skills. Scratch is a wonderful sandbox style platform that can provide students with endless hours of fun and engaging projects. 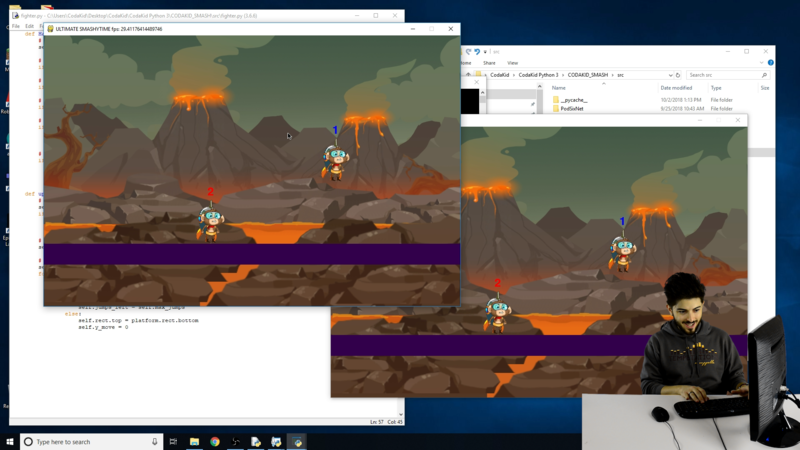 There are many resources available to help students create more complex games, and children can also learn from other students’ source code. CodaKid offers a wide variety of fun and exciting projects including 2D game development, 3D game development, website development, app development, and drone programming. For tech-savvy kids, making professional quality software is fun and quite rewarding. CodaKid’s video tutorials are taught by youthful engineers whose YouTuber delivery-style is popular with kids and teens. CodaKid’s platform also awards colorful badges to kids when they complete courses, and there is a fun fireworks animation that goes off during the awards sequence. Scratch offers thousands of different projects, but is primarily confined to 2D style games and art projects. Still the sheer variety of different game genres and other projects makes Scratch a platform that should never get old or stale for students. CodaKid offers a wide variety of courses, and the company currently adds two new courses per month. 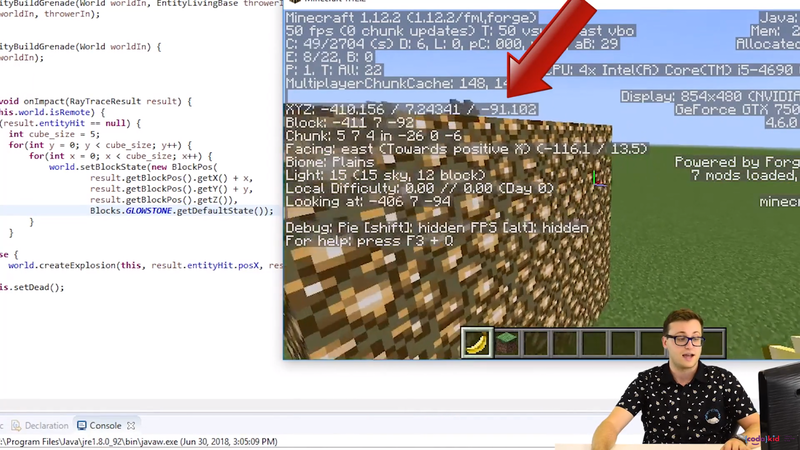 While CodaKid is perhaps best known for its Minecraft Modding with Java and Roblox coding with Lua, the company has a wide variety of other course types, including web development, drone programming, and more. 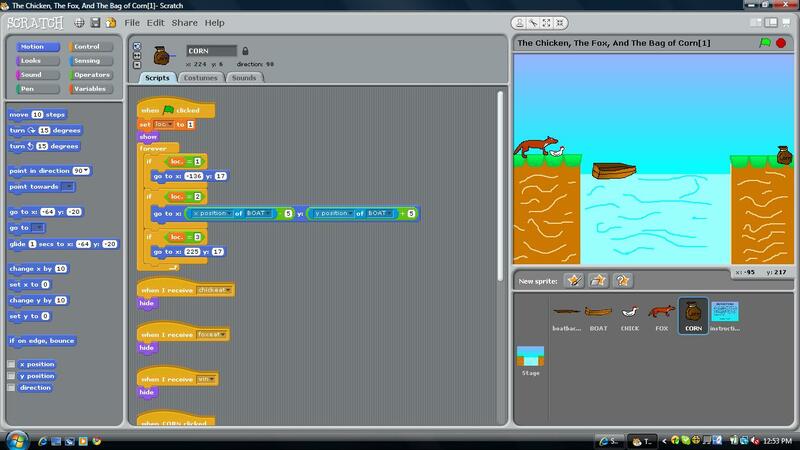 Scratch allows an extraordinary amount of creative expression. Students can create their own art, make their own animations, import their own music, design game play to their liking, and share their creations with millions in the community. Likewise, CodaKid provides an incredible amount creative freedom on its platform. Students create software from the ground up, and make decisions on every single aspect during the game development process. CodaKid’s course installers almost always provide art tools so that students who would like to get creative can do so. For those who want to skip the art and just focus on coding, CodaKid also provides professionally designed art. Scratch has a clear advantage in this category. Scratch’s ease of use is one of its strongest features. Whereas Scratch 2.0 required an installation of Flash, Scratch 3.0 has been completely rewritten in HTML5 which will not require Flash or any install of any kind. Scratch can be learned and/or taught by anyone with an interest in doing so, and is very kid-friendly. CodaKid’s set up is normally fairly straightforward and easy, but because the company uses installers for many of the courses, students and parents occasionally require assistance from our team in getting started. The good news is that unlimited support is included in every CodaKid subscription, and CodaKid’s engineers can get you set up in a short amount of time. While CodaKid’s set up is certainly more cumbersome than Scratch, one advantage to CodaKid is that students get to keep all of the professional grade tools and software for as long as they like. As a web-based solution, Scratch can be run in browser and the upcoming release of Scratch 3.0 can be run on early any mobile device. Scratch has also been designed to run on Chromebooks which are used by over 50% of schools around the world. At the time of writing, CodaKid runs only on Mac and PC computers. While CodaKid’s video tutorials can be watched on iPad or mobile devices, CodaKid uses will only run on PCs running Windows 7, 8, or 10 and on Mac computers with OS 10.7 or later. CodaKid recommends a minimum of 4G of RAM. At this time, CodaKid’s courses do not run on Chromebooks. CodaKid plans to launch some Chromebook compatible courses in 2019. Scratch can be taught to students as young as age 5, although students this age will likely require some hand holding. Scratch can be used to teach students as old as high school and college, although many students in this age range will prefer text-based coding. CodaKid has been designed for ages 8 and up, although there have been many students as young as age 7 who have successfully used the program, sometimes with parental help. With younger learners the primary difficulty is with keyboarding, as text based coding often requires special characters as well as upper case and lower case letters which can be challenging for young students. Scratch is completely free. A tremendous advantage and a wonderful service to the community. CodaKid offers a 14 day free trial and then monthly and annual subscriptions as low as $21 USD per month, which provides a tremendous value considering that you get unlimited access to a team of engineers. Scratch is an excellent kids coding platform that has several important advantages over CodaKid. For ages 6 to 8, Scratch’s visual block approach can reduce frustration with keyboarding, and Scratch 3.0’s compatibility with nearly any device is certainly more kid-friendly. The fact that Scratch is completely free for anyone who wishes to use it is also a big advantage. Lastly, Scratch has a fantastic Community Projects section which allows students to view the source code of thousands of projects from around the world. This is a fabulous feature that can provide students with endless hours of study and project creation. Similarly, CodaKid has a number of important advantages over the Scratch platform. First, CodaKid’s use of real programming languages and professional tools provides students with transferable 21st century skills. CodaKid is one of the strongest players in the kids coding space when it comes to platforms that have the capacity to teach kids how to become proficient, independent programmers. 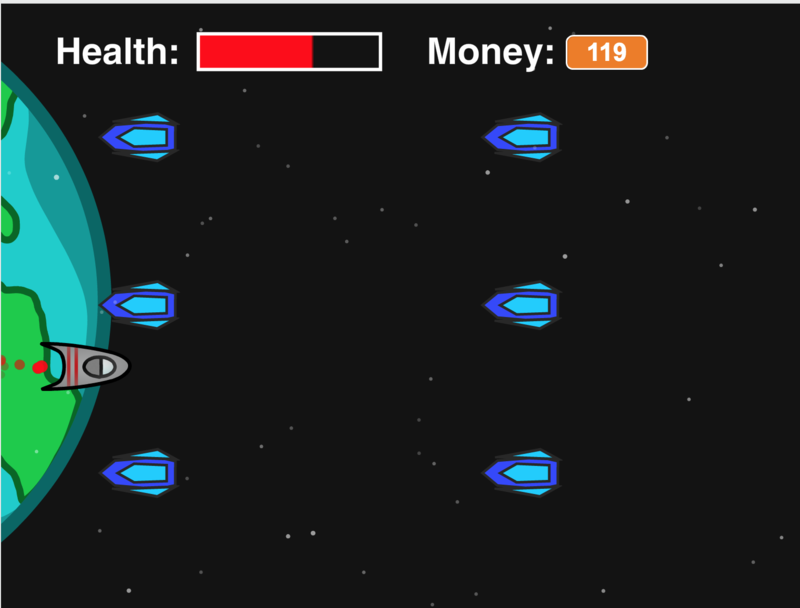 Secondly, CodaKid students can create beautiful games, apps, and websites. For example, with CodaKid, students can create stunning 3D games using Unreal Engine 4 (used to make the popular game Fortnite) or build a professional quality website or mobile app that can be shared with friends and family. Third, for this generation, CodaKid’s use of YouTuber style video lessons served up by fun, goofy, and youthful engineers is an engaging way for kids to learn. Last of all, a major advantage of CodaKid is that it provides online mentoring support if you ever get stuck. At only $25 per month, this is a great value. In conclusion, both Scratch and CodaKid are both excellent kids coding platforms that excel in different ways. Scratch is a true pioneer of kids coding education and their visual block approach, sandbox style palette, access to community project source code, and free price tag make it one of the most popular platforms in the world. CodaKid, on the other hand, is a cutting edge platform that is an excellent resource for kids who are ready to move past visual block coding and who want to gain experience using professional tools and languages. CodaKid’s diverse project types, fun YouTuber style delivery, and unlimited mentor support make it an excellent platform for tech-savvy kids. We hope you have enjoyed Scratch vs CodaKid: Which Kids Coding Website Is Better for Your Child. If you think of anything that I missed or would care to provide any other comparative insights, please leave them in the comments below!